The Venetian fortress of Souda is located in the homonymous island, right across from the fort of Itzedin, to the east of Chania. 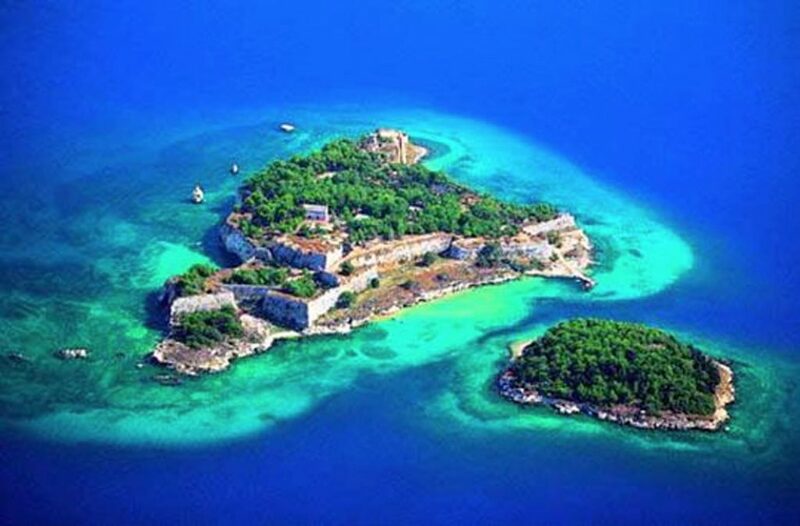 It was one of the most resistant fortresses throughout the Greek territory, against the attacks of the Turks. The construction of the fortress of Souda began in 1573 by the Venetians. It had a total area of ​​85 acres, while the perimeter of the fortress circled around the island and was reinforced by four bastions. Inside the fortress of Souda is a main temple that dates back to 1585, and is still preserved to this day. There, priests of the Order of St. Augustine conducted liturgies,due to the fact that a Monastery of Augustinian monks preexisted on the island. The Turks failed to conquer it in 1669 and it therefore remained in the hands of the Venetians for half a century after the conquest of Crete. At that period the fortress of Souda became the unofficial capital of the Kingdom of Crete and the Venetians used the appellation “Eye of the Kingdom” when referring to it. The fortress finally fell after a hard siege in 1715. During the Turkish rule the fortress of Souda was used as a wartime naval dockyard, became a permanent anchorage and a refueling station for the Muslim fleet, while it remained in Turkish hands until 1898.